The first marijuana-based drug wins FDA approval, Oklahoma legalizes medical marijuana, the Maine legislature approves an overhaul of that state's medical marijuana program, and more. Senate Approves Allowing VA Docs to Recommend Medical Marijuana for Vets . The Senate passed the Veterans Administration FY 2019 appropriations bill on Monday. The bill includes a provision that would allow VA doctors to recommend medical marijuana to their veteran patients. The House Rules Committee blocked that language from being included in the House version of the bill, so now it will be up to a conference committee to decide whether it gets included in the final bill. Arkansas Supreme Court Removes Cultivator License Roadblock . The state Supreme Court last Thursday threw out a ruling that effectively blocked the state's five approved medical marijuana cultivators from receiving licenses. The ruling ends a series of legal challenges to the awarding process from applicants who did not receive licenses and removes an injunction blocking the state from moving forward with licensing. Maine Legislature Passes Medical Marijuana Overhaul . The legislature has passed a sweeping overhaul of the state's medical marijuana program. The bill removes current qualifying conditions and allows doctors to recommend medical marijuana for any ailment and allows caregivers to expand their operations in exchange for tighter regulations. The bill now goes to the desk of Gov. Paul LePage. Oklahoma Legalizes Medical Marijuana . One of the reddest of red states went green on Tuesday. Voters in Oklahoma approved a remarkably progressive medical marijuana initiative by a healthy margin of 56% to 43%. The initiative, href="https://www.sos.ok.gov/documents/questions/788.pdf" target="_blank">State Question 778, allows registered patients to possess up to three ounces of marijuana anywhere and up to eight ounces at home. Patients also have the right to grow up to six mature and six immature plants or have designated caregivers do it for them. It also creates a system of licensed dispensaries, cultivation, and processing facilities and sets taxes at a relatively low 7%. The initiative also bars localities from using zoning laws to block dispensaries (although they wouldn't be allowed within 1,000 feet of a school). But what is most striking about Question 778 is that it does not restrict access to medical marijuana to a list of qualifying conditions. 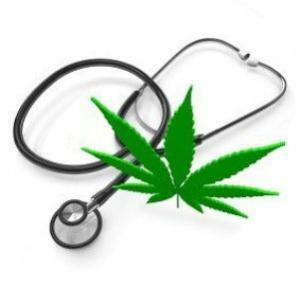 In fact, the initiative language explicitly states that "[T]here are no qualifying conditions" and that the only limitation on a doctor's recommending medical marijuana is that it must be done "according to the accepted standards a reasonable and prudent physician would follow when recommending or approving any medication." Pennsylvania Governor Signs Medical Marijuana Research Bill Into Law . Gov. Tom Wolf (D) last Friday signed into law House Bill 2477 , which amends the state's medical marijuana law so that its medical marijuana research program can proceed. The bill moved through the state House and Senate last week before landing on Wolf's desk.